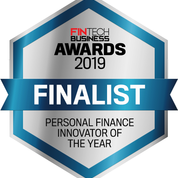 Finalist in Investment Innovator of the Year and Personal Finance Innovator of the Year categories in the Fintech Business Awards. Australian Corporate Bond Company Co-Founder Ian Martin presented at the Afiniation Melbourne Showcase in April 2016 to an audience of bankers, brokers and venture capitalists. XTBs were identified by the judges as filling a gap in the market by offering retail investors an easy way to buy corporate bond exposure. “The problem is while it is simple to buy shares in individual companies, it is extremely difficult to buy underyling corporate bonds” Ian Martin says. explaining this gap. Comments from the judges: “XTBs are a fantastic example of democratisation of financial products, making the corporate bonds investment products available to the retail and SMSF market.” Rob Wallis from IRESS. Our creative agency, Yell Creative was received “GOLD” from the Davey Awards for the design and development of the XTB website. 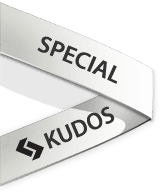 Our creative agency, Yell Creative was awarded “SPECIAL KUDOS” from CSS Design Awards for the design and development of the XTB website. CSSDA is an international web design and development awards platform. It honours and showcases freelance designers, studios and agencies for work that pushes the boundaries of creativity, functionality and usability. Daily, monthly and yearly awards are presented for outstanding creativity and technical proficiency. Judged by a panel of international judges, this is a prestigious award. Nominees and winners have the dual benefit of being judged by both CSSDA’s highly experienced and independent in-house judges (that judge sites for a living) and by an esteemed panel of industry experts consisting of cutting edge designers, leading developers and some of the most successful directors, founders and creative peeps on the planet. Our creative agency, Yell Creative were awarded with a “SILVER” award from Creativity International Awards for the design and development of the XTB website. A panel of advertising and graphic design professionals who meet deadlines and budgets on a daily basis judges the Creativity International Awards. They understand your challenges and the lengths to which you go to overcome them. Creativity International Awards makes a special effort to obtain judges representing the demographics of our competitors – judges from East Coast agencies, West Coast agencies, international agencies, freelancers, educators and creative directors have all taken part in our panels over the years. The XTB site was again recognised as “website of the day” in the Website Design Awards.